Nobody looks forward to having surgery and we understand that. When surgery is necessary and traditional hospitals aren’t the right fit for your needs, we are here to provide excellent healthcare. Whether you are here for plastic surgery, oral surgery or anything in between, we pride ourselves on convenience and a friendly, compassionate staff. 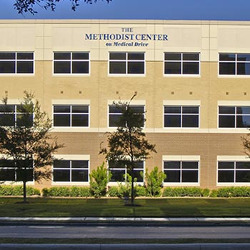 When you come to our facility you can feel comforted that you are in a caring facility that is part of the Methodist Healthcare System – the most preferred healthcare provider in the San Antonio area. The Methodist Healthcare mission is ‘Serving Humanity to Honor God’ and that is what we strive to do. Thank you for visiting our website and for considering us for your surgery needs. We look forward to meeting you.